KEN YUSZKUS/Staff photo. 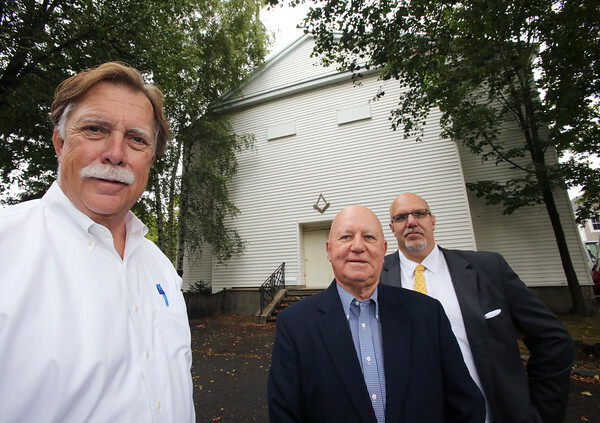 From left, buyer Steve Archer, Liberty Lodge Freemasons of Beverly president Tom Pawlyk, and member Ed Roaf stand in front of the Liberty Lodge Freemasons of Beverly building that is being sold due to declining membership. 9/11/15.